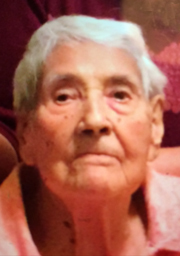 Feliciana Portillo, 99, of Hurley passed away on Wednesday, August 8, 2018 at her daughter's residence. Cremation has been entrusted to Baca's Funeral Chapels. A Graveside Service will take place on Friday, August 17, 2018 at one o'clock in the afternoon at Fort Bayard National Cemetery where Feliciana will be laid to rest with her husband.